Lucky Pokémon will make their way in Pokémon Go. It was once the most popular AR game around. But with time, this fame faced a downfall and now only the true fans play this title. Some time ago, data-miners discovered a couple of interesting additions in the code of the game. One of them was a new kind of berry that the miners disclosed. The other discovery was Lucky Pokémon. Niantic has recently released a new feature to the game, Friends and Trading. The rumors had it that players can use the Lucky Pokémon for this feature. Moreover, the developers have now also confirmed that the Lucky Pokémon are now coming to the game. But this is not it, developers have also announced that there are other things coming with the update. The update will come with a plot reason of its own. 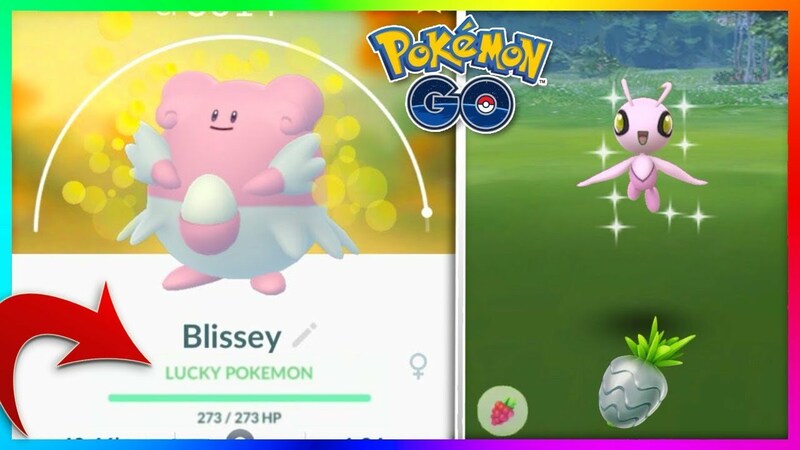 Niantic has revealed that a character, Professor Willow, has discovered that a Pokémon will assume a new Lucky ability in Pokémon Go. For the Pokémon to achieve this trait, it needs to be traded first with a friend. The professor also reveals that the longer a Pokémon stays inside the Trainer’s Storage the more chances it has to become Luck Pokémon. Of course, players can determine whether the Pokémon are lucky or not after the trading as all the Lucky Pokémon glow sparkly. These Pokémon will require less stardust and attain more CP in less time as compared to other creatures. Additionally, Pokedex can detect these Lucky Pokémon for the players to keep track of them. Other than introducing these Pokémon in the game, the developers will also include special surprises for fans via gifts. Now, the players cannot only receive XP by sending gifts to friends but also there’s a chance that the gift will have Stardust.